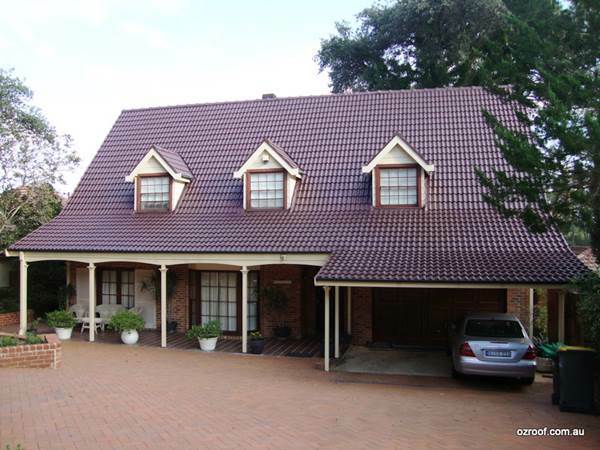 You are here: Home / Home Improvement Ideas / Ceiling & Roof / Choosing A New Roof – Which Material Is Best For You? Whether you are building a new house from scratch, or the time has come to replace your existing roof, you’ll need to do loads of research into roofing materials in order to make your choice. There are many options when it comes to roofing materials, and each have different pros and cons. Start by considering the climate you live in, as this will make a massive difference to the type of material you should choose. You should also decide on your budget first, making sure that it is realistic. A roof is not an area where you should be looking to cut corners – you’ll only end up having to pay for a replacement sooner than you’d expect. Tile and shingle are the two most popular roofing materials. 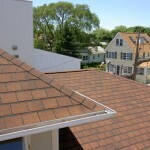 Shingle is the cheaper of the two options, but tile will last longer and stand up better to extreme weather conditions. 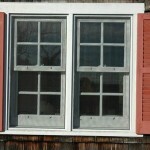 Tile is also preferred because it provides far better insulation for the house. So while it may be the more expensive option in the short term, in the long term, tile will save you money on your utility bills, and your roof will last much longer. 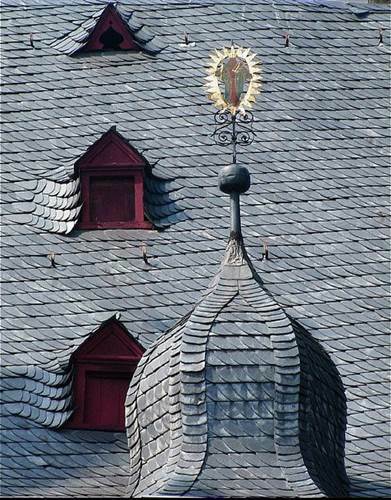 There is no doubt that slate is an expensive option, but it is by far the most durable material for a roof. 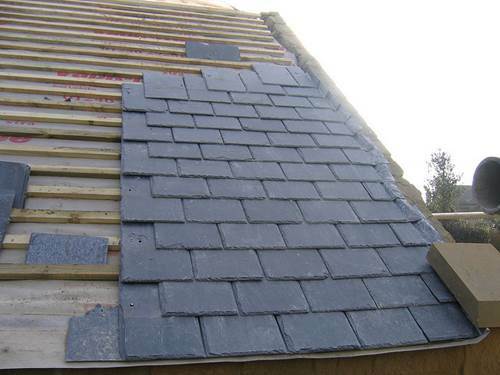 The price puts a lot of people off, as does the fact that there are far more eco-friendly options available, but the fact that some slate comes with up to 100 years’ worth of warranty means slate will give you a roof for life. 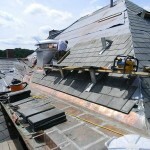 If there is room in your budget then a slate roof is definitely the way to go! It is possible to find slate in reclamation yards – this will reduce your costs significantly (and perhaps ease your conscience too!). 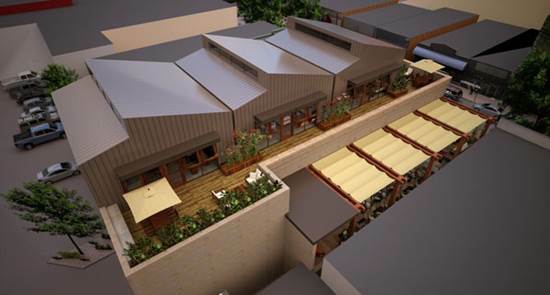 Cast off your ideas about corrugated iron roofs that look industrial and ugly. It is now possible to get tiles that are made of metal, meaning it can look just as attractive as a slate or tile roof. It’s pretty expensive, but the lifetime of a metal roof is said to be up to 60 years. Metal has the added advantage of insulating brilliantly during colder seasons, and reflecting heat away during the hotter months. If you are concerned about the environment (and we all should be), then you may like to consider some of the eco-friendly choices that are available on the market that are made from sustainable materials. And if you’d like to save money on your utility bills then you could install solar panels to generate electricity for your household. The sheer choice of roofing materials is quite overwhelming, but you will find that most people can narrow their options down to a couple pretty quickly once they consider their climate and their budget. Speak to a roofing specialist if you’d like to discuss your options – they can help you choose. 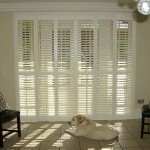 Keith Davis is a part time blogger whose articles mainly focus on design and decoration. 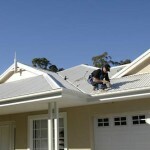 Recently, he wrote an article for OZROOF Repairs & Restoration. Whenever he isn’t busy, he enjoys travelling and learning about various cultures and their traditions.